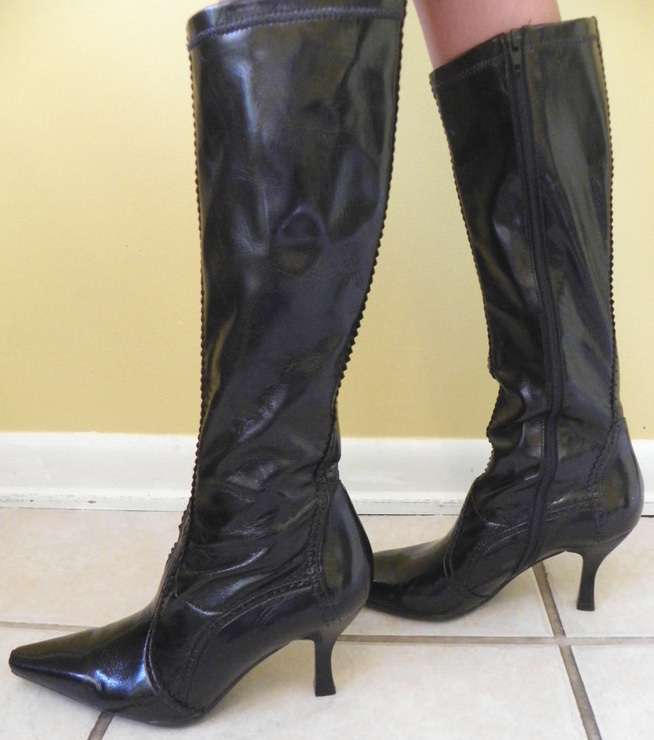 This is a pair of beautifully made shiny black patent leather knee high boots (man made material). Great cutout scalloped detail from the leg to the foot and a 3" heel and lined in a supersoft and warm fleece. Inside zipper. Never worn! They have a Witchy/Victorian look to them! 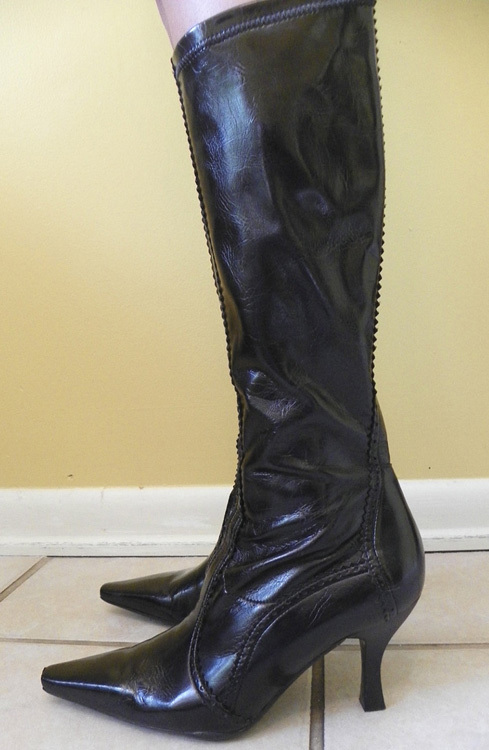 Also quite reminiscent of the shiny fetish boots that Bettie Page wore back in the 1950's. Designer is Franco Sarto - they make incredible footwear! 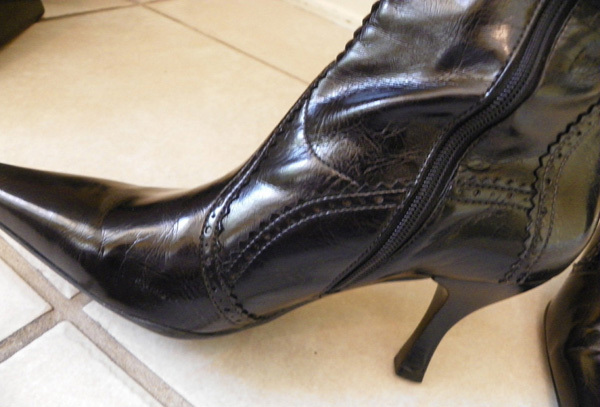 Boot Height including heel: 16.5"